Do you dream of sunbathing on a pristine beach − or would you prefer to see mighty glaciers up close? From the South Pacific to Alaska, Cuba to the Arctic, here is our pick of amazing destinations to enjoy around the globe. Pristine beaches, verdant rainforests and colourful markets − the islands of the South Pacific have it all. The sapphire waters and coral reefs of this tropical paradise are perfect for snorkelling, surfing and diving. But there’s plenty to do on land too, from visiting the waterfalls of Tahiti to marvelling at the firewalkers of Fiji. Oceania serves the area with its ships Regatta, Marina and Insignia. It invites guests to discover French Polynesia on the 1,250-guest Marina, which it describes as “the most luxurious and amenity-laden ship in Tahitian waters”. 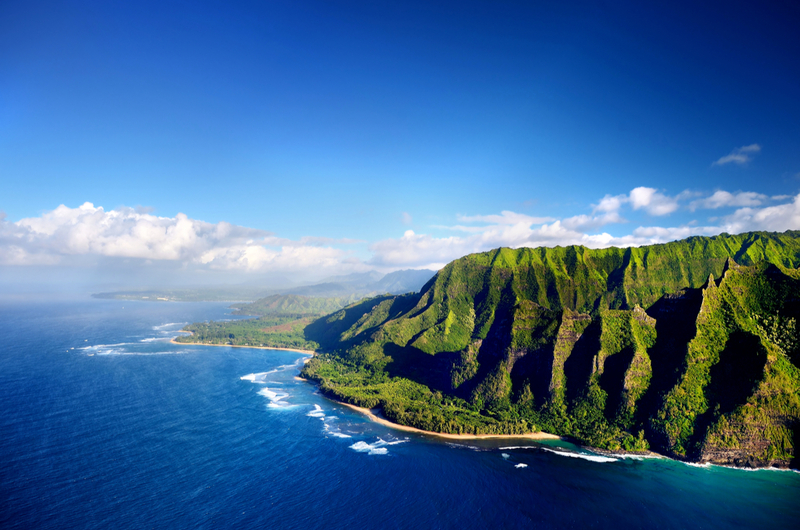 Excursions include driving along the rim of a volcano crater in Hawaii, viewing stingrays off Mo’orea, visiting a pearl farm on Rangiroa and seeing tropical fruit in a coastal village on Samoa. Based in Tahiti, Paul Gauguin Cruises offers guests two exclusive retreats. Off the coast of Taha’a lies the islet of Motu Mahana and the chance to enjoy a day of watersports, Polynesian activities, a barbecue feast, and cocktails from floating bars. In Bora Bora, guests can relax on a private beach, play volleyball and snorkel. The cruise line is the only one to sail to Tahiti Iti, with its rugged cliffs, beautiful waterfalls and the famous wave of Teahupo’o. Be among the first to welcome in 2018 on Seabourn Encore’s 16-night South Pacific Isles trip leaving Auckland, New Zealand, on December 20 and visiting several Fijian islands, New Caledonia, Vanuatu − for New Year − and Norfolk Island. Silver Whisper offers a 10-day cruise in the South Pacific Islands, starting in the rice fields and bamboo forests of Bali and sailing to the Philippines before arriving in bustling Hong Kong. Cuba is the hot new venue for luxury cruising. Travellers to Havana can stroll along the Malecón, the esplanade that runs for five miles beside the coast, and enjoy the taste of mojitos, the sound of salsa dancing and the scent of local cuisine in the evenings. Art lovers can visit the world-class collection at Museo Nacional de Bellas Artes. Other excursions include seeing how the famous cigars are made or journeying into the Viñales Valley, famous for its limestone formations known as mogotes. Azamara is one of the lines expanding its itineraries to Cuba, adding two new ports of call next year – Cienfuegos and Santiago de Cuba. There are still hidden gems in the Caribbean and Crystal aims to explore them with its 62-guest yacht Esprit, sailing seven-night cruises from Marigot Bay in St Martin. Guests will be able to experience the yachting lifestyle and use the watersports amenities in Esprit’s marina, including a submarine. Azamara sails to the diving paradise of Bonaire, where guests can head to Sorobon Beach and Lac Bay for windsurfing and kayaking or Bari Reef for snorkelling. Paradise is not limited to tropical beaches and warm waters. Serenity, peace and beauty can also be found in the sprawling wilderness of Alaska, with its soaring mountains, swathes of forest, imposing glaciers and mirror-like lakes. And that’s not to mention the wildlife of whales, bears, moose and eagles. Next year Windstar is returning to the state after two decades, with journeys on the 212-guest Star Legend starting at 11 days, sailing through the Misty, Kenai and Tracy Arm fjords. From Durban in South Africa, guests on Ponant ship Le Lyrial can sail on a 16-day voyage between the unspoilt Scattered Islands and the Seychelles. Europa 2 has a 15-night Indian Ocean itinerary from Colombo in Sri Lanka, ending up in Benoa, Bali. 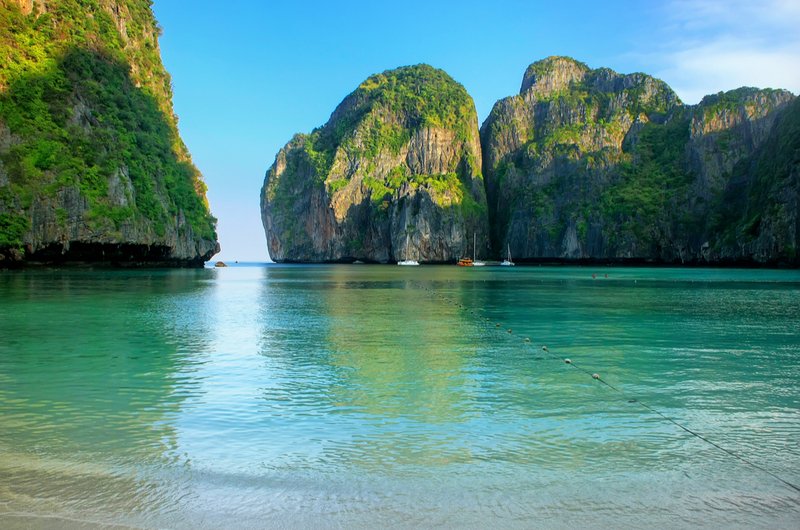 Off the coast of Thailand, some cruise lines do excursions to islands such as Phi Phi Le, where The Beach was filmed. Regent’s Seven Seas Navigator is setting off in June next year on an 89-night Grand Arctic Splendour round trip from New York, calling at 63 destinations in Canada and New England, Greenland and Iceland, the North and Baltic Seas, as well as sailing into the Arctic Circle to reach the White Sea.